(Bloomberg) -- As most European Union leaders sought to gently maneuver the U.K. into postponing Brexit, only one broke ranks -- French President Emmanuel Macron. 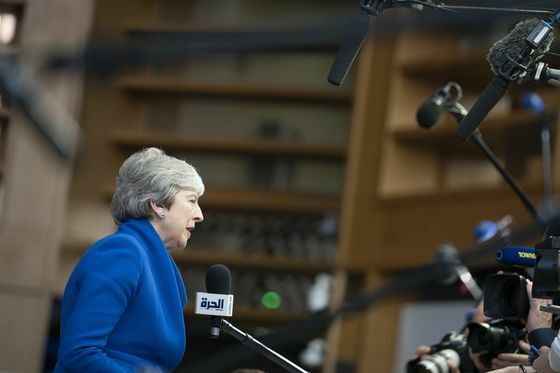 Arriving for the latest crisis summit in Brussels, successive EU leaders sought to give Theresa May breathing space to organize Britain’s divorce from the bloc -- one, Luxembourg’s Xavier Bettel even said he’d impressed himself with his patience. By contrast, Macron warned against taking a long extension for granted. 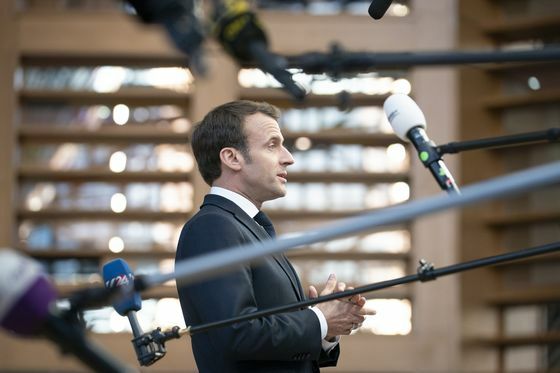 “We need to understand why this request is being made and what is the political project that justifies it,” said Macron, who has consistently struck the most hard-line tone in the EU’s negotiations with the British. Leaders are looking to finalize the length of the delay at Wednesday’s summit but Macron’s intransigence was complicating the process as talks got under way. European Council President Donald Tusk wants them to offer an extension of up to a year, and some member states back December for the new departure date. France isn’t convinced. Some leaders even hinted at an open-ended extension. German Chancellor Angela Merkel urged the EU to "open and constructive," and Latvian Prime Minister Arturs Krisjanis Karins said the bloc should be "open" to giving Britain more time. First, though, the details of the extension need to be fleshed out, and Macron needs to be persuaded. “For me, nothing is taken for granted, and in particular no long extension,” he said.